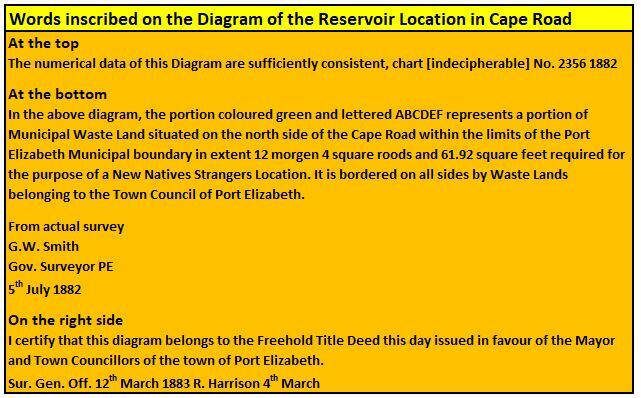 By the 1890s, Port Elizabeth Port Elizabeth possessed four Locations: Strangers’ Location off Mount Road, Cooper’s Location off Albany Road, the Reservoir Location off Mount Road and Gubb’s Location in Mill Park. Despite immense pressure from white residents to relocate the residents to Locations further from white residential areas, this had never materialised mainly due to inertia and cost. Events after the turn of the century would ultimately witness the actualisation of these dreams and the clearing of the original western Locations. The possible relocation of the residents of these four Locations was mooted prior to the turn of the century when the PETC [Port Elizabeth Town Council] discussed the wholesale removal of these Locations to a new combined Location – The Race Course Location. At these meetings, the PETC acceded to a number of requests by the location dwellers. Amongst these was that even though the existing site holders or occupiers in the municipal locations did not hold title to their lots, they would be granted title in their new Location. Moreover the PETC even agreed to compensate the residents for their old dwellings. Progress on this proposal was stalled on account of the outbreak of the Anglo Boer War as this land would be allocated for military purposes. After the war, the rapid encroachment of the white residential areas had sabotaged this plan. Instead of this being a temporary solution until such time as it too had to be relocated further westward, eyes were cast northward towards the flats behind Deal Party Estate and area around Frederick Korsten, now dilapidated estate, Cradock Place. The ostensible reason that set in motion a train of events resulting in the relocation of the black residents from their traditional locations, was bubonic plague at Gubb’s Location. On 13th April 1901, rats infected with bubonic plague were found in mielie [corn] sacks on Harbour Board property. Immediate steps were taken to rectify the situation which resulted in the appointment of a Plague Board on the 23rd of the same month. Various members were appointed, and these included the Colonial Secretary who came to Port Elizabeth to discuss the situation with the Council. Despite free inoculations being provided, Sergeant Pegg, would had been working on the Military Stores depositing grounds, died at the Base Hospital on the 20th May, becoming the first victim. By the 1st June, there had been five fatal cases. Dr David Rees of London, on expert on tropical diseases was brought out, first to Cape Town and then to Port Elizabeth to spearhead the fight against the disease. Never mind the actual reason for the pressure to relocate, the reason provided for the relocation of the residents of all four locations was on the basis of their being a health threat. What followed was duplicity and deceit on a grand scale. Let the facts speak for themselves. 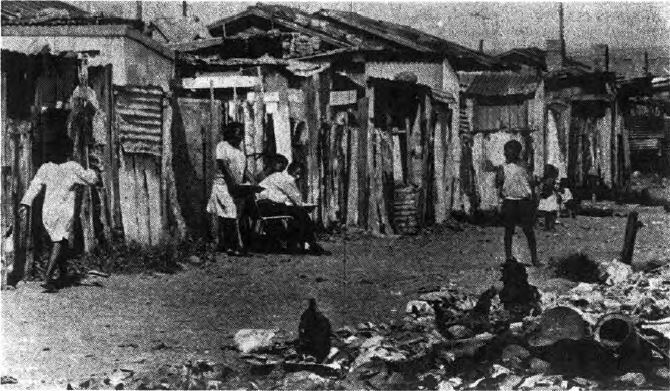 Port Elizabeth recorded 105 cases of bubonic plague in 1901 with 21 being of whites and 84 blacks. The disease was more prevalent in certain wards of the town than in the locations. 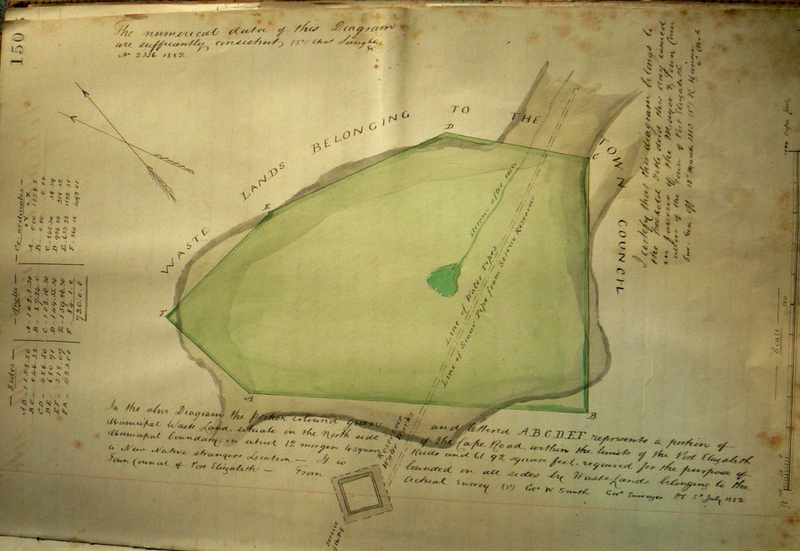 When the first case was reported, the Colonial Secretary mooted the possibility of a single location being established outside the town under government supervision. Location residents endorsed the proposal at a public meeting. Apart from having greater faith in the bona fides of the Colonial Government, the central state had greater resources at its disposal. Needless to say, when the plague never reached epidemic proportions, the Colonial Government prevaricated whether to assist the Town Council in resettling the location residents. Evidently the Mayor sardonically quipped that they should cultivate the plague to prevent government procrastination. Rather, this is evidence of the forerunner in municipal complicity in underhand moves to forcibly remove blacks from white Port Elizabeth. Meanwhile the Plague Board embarked on a campaign to eradicate the disease. Conflicts of interest arose where Councillors who were themselves “slumlords,” hindered the demolition of dwellings declared unfit for human habitation and even though merchant stores infested with rats were the probable breeding ground for the disease, there were no municipal regulations to enforce fumigation of these premises. What became evident, was the disproportionate actions by the Plague Board against White and Black dwellings. 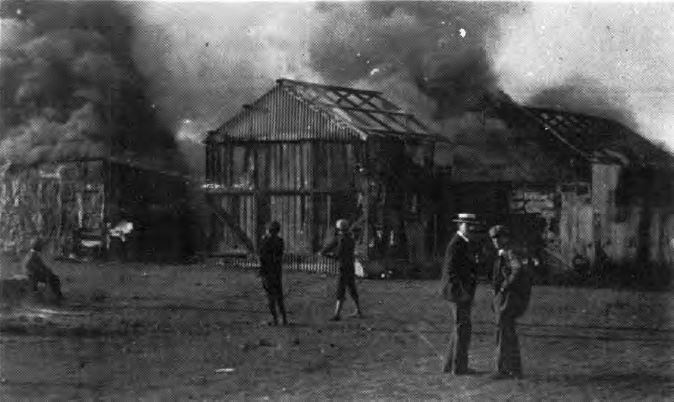 Few White dwellings were condemned or expropriated by the Council. In contrast, location residents complained of personal harassment, arbitrary inspections and the destruction of homes without prior warning. In the end, demolished houses numbered over 325 were in the town proper and over 950 in the locations. The clamour to remove the existing locations in the towns was fuelled by unfounded white fears that they posed a threat to public health. In this they were thwarted due to the Plague Boards not being empowered to evict people from properties not condemned as insanitary nor could they order the wholesale destruction of Locations. The removals as contemplated by the authorities were enabled by the passage of the Native Reserves Location Act of 1901 which permitted mass evictions and slum clearance. The establishment of New Brighton was facilitated by the Colonial Government’s purchase of the farms known as Cradock Place and Deal Party for the sum of £20,000. The choice of these areas was based partly upon the fact that the land was deemed to be unsuitable for industrial purposes or for white residential development. The factor that they did not weigh in the decision making process was the fact that as this Location was eight kilometres north of the town, it would negatively impact upon travelling time which was largely by foot. Equally important for the Council were the unstated issues of residential segregation and social control of the town’s African population. However the decision was partially informed by public health care concerns as New Brighton was outside the municipal boundaries. 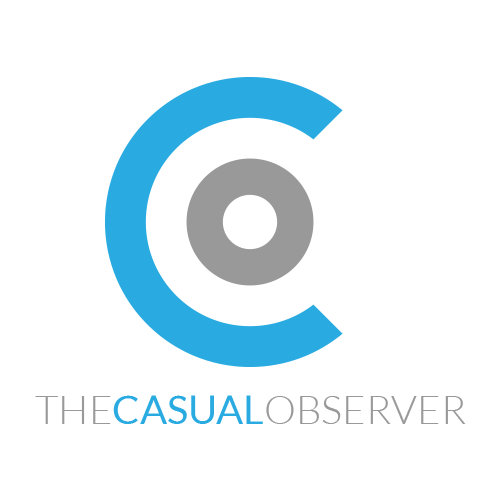 On the basis that the principle of freehold title to the property had already been agreed in the case of the Race Course Location, the residents expected an undertaking that this condition would apply equally to that of New Brighton. What is illuminating for me, is that the black residents of Port Elizabeth had demanded title to their property over a century ago, a right that the white residents were automatically granted. In this quest, the Black residents would be sorely disappointed being frustrated at every turn. Suffice to say, that ultimately, the relocated residents were treated as tenants of their new property. Rather than paying off a loan, they paid a rental. Furthermore as New Brighton was outside the municipal boundary, the residents were not subsided in any way as regards services. Eviction notices were served on location residents by the Police. Stranger’s Location, which was situated on prime real estate, was earmarked as the first site to be cleared of its residents. A number of these residents moved to New Brighton before the deadline had expired on the 1st June 1903. Most residents remained until being evicted and all the huts in Stranger’s Location were cleared and razed to the ground during June. Cooper’s Kloof suffered a similar fate three months later. The Expulsion Notice issued to residents of both locations stipulated that they should proceed to New Brighton. 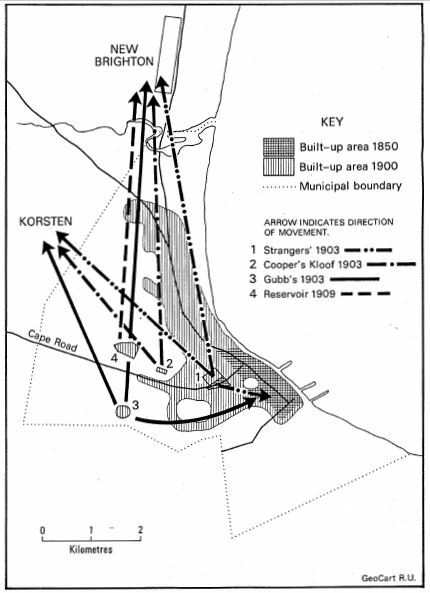 As the Native Reserves Location Act [NRL] applied to the municipality itself, the authorities did not have the means to force those Blacks, who relocated to Korsten and other areas on the periphery of the town, into New Brighton itself. 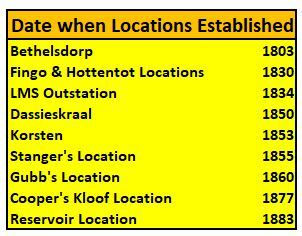 Private locations within the PE Municipality were also subject to the provisions of the NRL Act. The syndicate which owned Gubb’s Location sought to exact compensation from the Government for the loss of income. This was dismissed on the basis that they had already made enormous profits from their tenants and on account of the fact that additional amounts would be secured on the sale of the site. The authorities commenced relocation in June 1903. As with the municipal locations, few of the residents of Gubb’s Location moved to New Brighton. 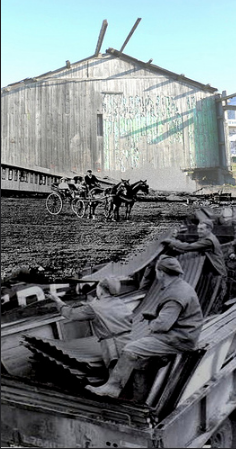 Many owners of huts chose to dismantle and re-erect them either in Korsten or even in the Reservoir Location. Ultimately, most residents “voted with their feet” by moving to Korsten instead of New Brighton. 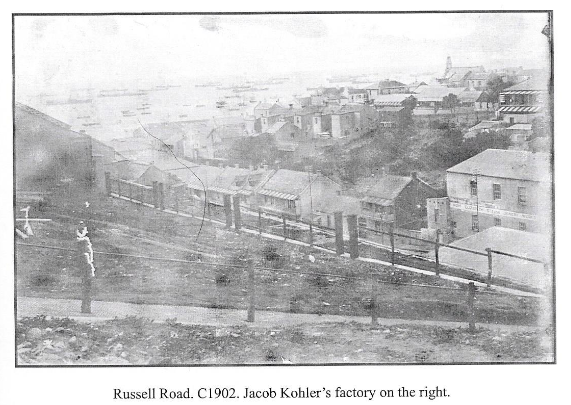 By the end of 1903, the population of New Brighton was 2,125 which fell far short of the projected figure of 6,000, whereas more than twice that number had relocated to Korsten. The shameful saga was behind them. The residents might forgive but they would never forget. Those flames would surge yet again many times over the succeeding ninety years. They might well have received political freedom in 1994 but they did not receive one thing more precious: Freehold title to their property which their forefathers held so dear. This issue remains, even today, at the forefront of the unresolved political questions in South Africa.